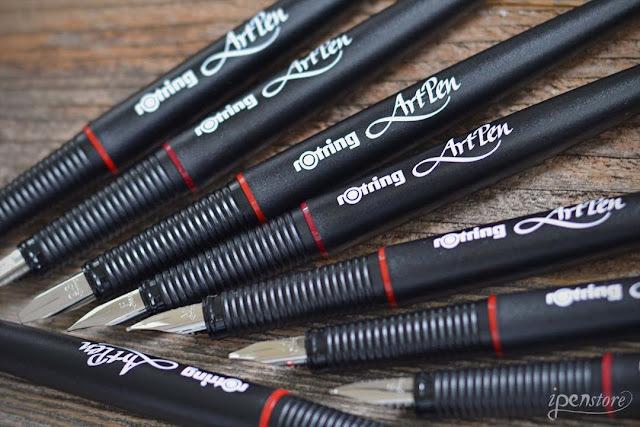 Art Pens by Rotring are fountain pen style drawing pens that take standard fountain pen cartridges. Popular for sketching and calligraphy, the long tapered barrel was inspired by an artists's brush and gives the pen a good balance. Features a comfortable grip for fatigue-free writing and drawing. 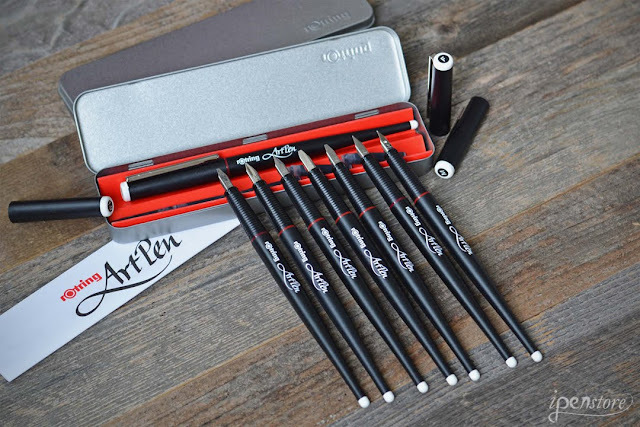 We offer the the Calligraphy Art Pen Set that includes 1 Rotring Art Pen, and 2 extra nibs with seal-able caps. The set includes the 1.4 mm, 1.9 mm, and 2.3 mm nibs and a pack of 6 Rotring Brilliant Ink cartridges in black. We also sell the pens individually with eight different nib choices available. Individual pens come with 2 prefilled cartridges of black ink. 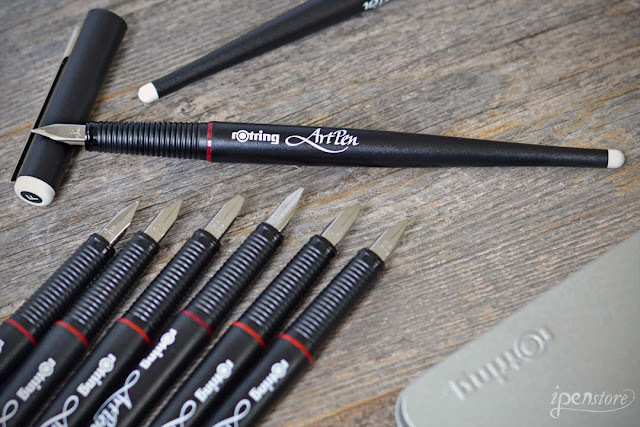 These high quality pens are made to last - the interchangeable nib nibs are crafted from stainless steel. The feed has three channels for a very wet line that won't skip. The pens can be completely disassembled for cleaning. 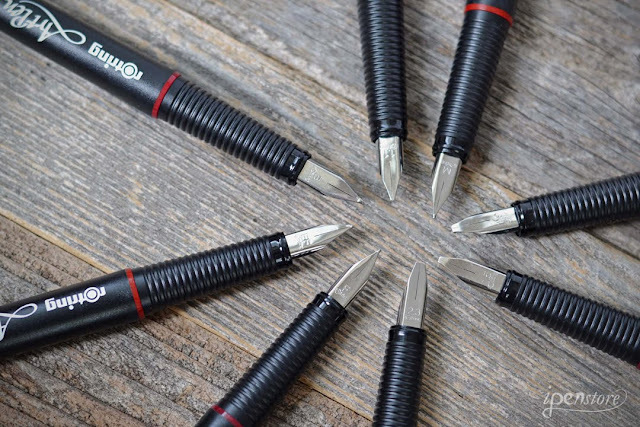 These pens take standard international cartridges that are refillable. Additional ink cartridges in more than 30 colors are available in our store.